Podcasts – they are what talk radio was to our parents, though we refuse to acknowledge it. I stumbled across podcasts pretty late in the game. It wasn’t until about a year ago, when I started my internship and had to commute two hours to work, that I realized the true brilliance of a good podcast. Although my podcast taste stays in the lane of lifestyle and inspiration, every once in a while I find the need to change it up a bit. So, here’s a list of diverse podcasts I find myself revisiting devotedly. If you’re looking to do some soul-searching or career exploring, Oprah’s podcasts should be number one on your list. I mean as Josh Nichols says, “IT’S OPRAH.” But if you’re still on the fence, “Oprah’s Master Class” features some of the greatest names of our time, including Ellen DeGeneres, Justin Timberlake, Jon Bon Jovi and Cicely Tyson, where they discuss their lives and careers in a raw and authentic way that will give you some great insight. “Oprah’s SuperSoul Conversations” gives us a throwback to her talk show, with Oprah sitting down and interviewing actors, musicians, comedians, philosophers and more about the circumstances that mold their lives and our lives as well. Brilliant people such as Malala Yousafzai, Michelle Obama and Ralph Lauren are a few of the standout interviews you’ll find on this podcast. Here’s a podcast for all the fashion and lifestyle lovers, such as myself, out there. “Keeping it Candid” is a weekly podcast hosted by two millennial women, Millie Cotton and Sophie Milner. Each episode focuses on topics varying from how to get a better Instagram photo to a lack of diversity in the fashion industry. What’s great about “Keeping It Candid” is as soon as you feel guilty about listening to a podcast that focuses more on the “shallow” spectrum of life, they bring you a social pertinent topic to digest and think about. It’s all about finding a balance, right? Denton is full of music and podcasts, so I had to include one that I’ve truly been loving lately. “Don’t Feed the Artists” is a music podcast that interviews local and national artists about their music and lives on the road. This podcast has a great balance of artist’s jargon and intriguing stories that keeps the listener tied in no matter how high their interest in the intricate details of music is. It’s also a great way to discover new up-and-coming artists you may have never heard of before. Some of the recent artists featured on “Don’t Feed the Artists” are the Pool Kids who have a hilarious story about their tour and the Monobody from Chicago. Adulting is the coming of age podcast you need to be listening to if you’re a woman in college, in your 20s, or even your 30s. This podcast will make you realize you are far from alone in your efforts to become a so-called “adult.” Although “Adulting” leans more toward the woes of adulting as a woman, “In Your 20s” is a useful millennial podcast for men and women. The podcast features a new person each episode who is learning, struggling, discovering and becoming in their 20s. “In Your 20s,” much like “Adulting,” is a comforting podcast for anyone who’s breaking into the real-world and feeling like though their age does not reflect the adult they are supposed to already be. So basically all of us, right? 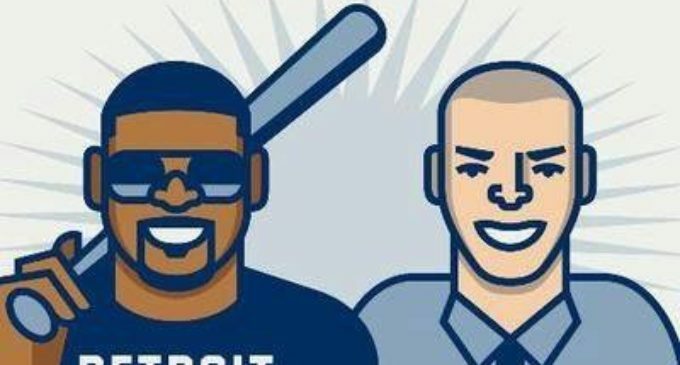 Featured Image: The Jalen and Jacoby podcast logo. Courtesy Jalen and Jacoby.